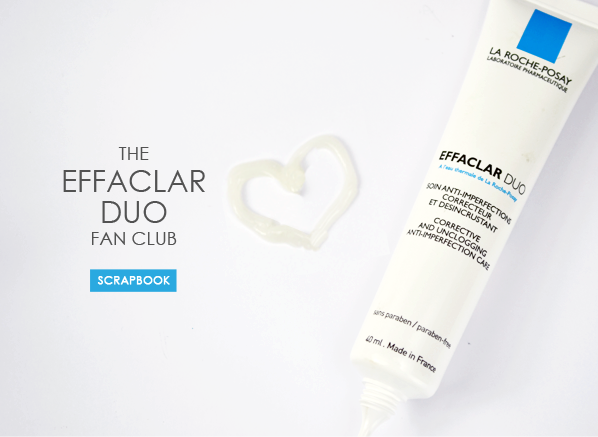 So, you’ve acquainted yourself with the science behind La Roche-Posay Effaclar Duo (if not, read more here) – now it’s time to see what some of its admirers have to say about it. From YouTube gurus to besotted members of team Escentual, here’s just a sample of the Effaclar Duo fan club. Have you tried the spot-busting treatment? Let us know all about your own experiences in the comments below! I’ve had normal/combination skin since I was a teenager and I’m prone to very spotty phases, which isn’t pleasant at the best of times! I have quite an oily t-zone so I use this product morning and evening after cleansing and find it has prevented me from having the usual breakouts. The lovely gel texture keeps my skin hydrated and has a mild scent that isn’t awful like some of the other common spot treatments and moisturisers. Pore size is significantly reduced and my skin is much healthier with just two weeks of use! I have pretty confused skin. Sometimes it’s ultra dry, other times it can be very oily, and I constantly get tiny bumps on my skin that are impossible to shift. I use Effaclar Duo in the mornings to keep things in check, alongside an AHA toner. I’ve never used a product that has made such a dramatic difference to the quality of my skin. This entry was posted on Friday, July 5th, 2013 at 9:17 am and is filed under Skincare, Video. You can follow any responses to this entry through the RSS 2.0 feed. You can skip to the end and leave a response. Pinging is currently not allowed.